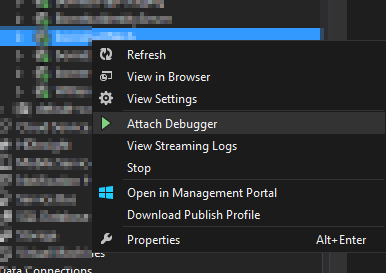 This never works for me even when debugging in enabled. Here is a link to a way that works and it worked the first time. I only tested with an Azure Web App so not sure about WCF and services yet.